Julie Bartlett was ‘living the dream’ with her ideal job as a midwife in charge of a busy maternity ward, when, aged 47 she collapsed. 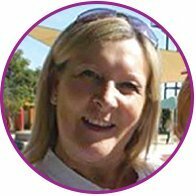 Julie was formally diagnosed with Hypertrophic Cardiomyopathy, an enlarged heart, and had to have a device called a Cardiac Resynchronisation Therapy (CRT) installed. Her previous active life changed instantly. She was overwhelmed, and terrified about how she would manage her new health challenges in the future. But along with the CRT Julie learned about her condition and the treatment she would be having. And this helped her keep a positive attitude, which has its own affirmative impacts on her physical health. Julie appreciates the days she’s feeling well and meets up with friends, walks her dog or exercises at the Heart Rehab gym – and even took a long haul flight to Australia to meet her new granddaughter. Today, she is cared for by the Royal Brompton Hospital through a remote monitoring service.